This interview had us laughing the entire time. We love watching Floribama shore so having Gus on was a huge honor for us. This guy is a Fit Strong Supplement Athlete, Floribama Shore Star, and a rookie on this season of MTV's The Challenge. We get his secret on how he stays in such great shape while partying it up in PCB (2:30). He shares his journey from "Gus Gus" to Gus, and talks about some freak accidents that landed him on the cover of adult romance novels everywhere ... See More (5:00). We get into why this season was Gus's most dramatic season of Floribama + behind the scenes drama that didn't make it to TV (11:20). Gus tells us about life on the challenge and gets us pumped to see him bring some fire this season (15:54). He struggles through a game of F, Marry, Kill but you're not going to want to miss which vet he kills off (20:05). 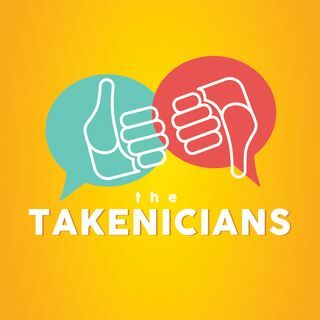 Gus gives us some HOT takes in our game of Take it or Leave it: Find out what he thinks of McGee's pick up line, going to bars alone, heckling in Golf, and the Super Bowl, and Friends with Benefits on Valentine's Day (22:05).